So this is how Pregnancy Feels! REALLY REALLY FAT and REALLY REALLY TIRED. Don't get me wrong. I love that I am pregnant, but this constant state of bloat, nausea, and serious exhaustion is really not as glamorous as I thought it would be. 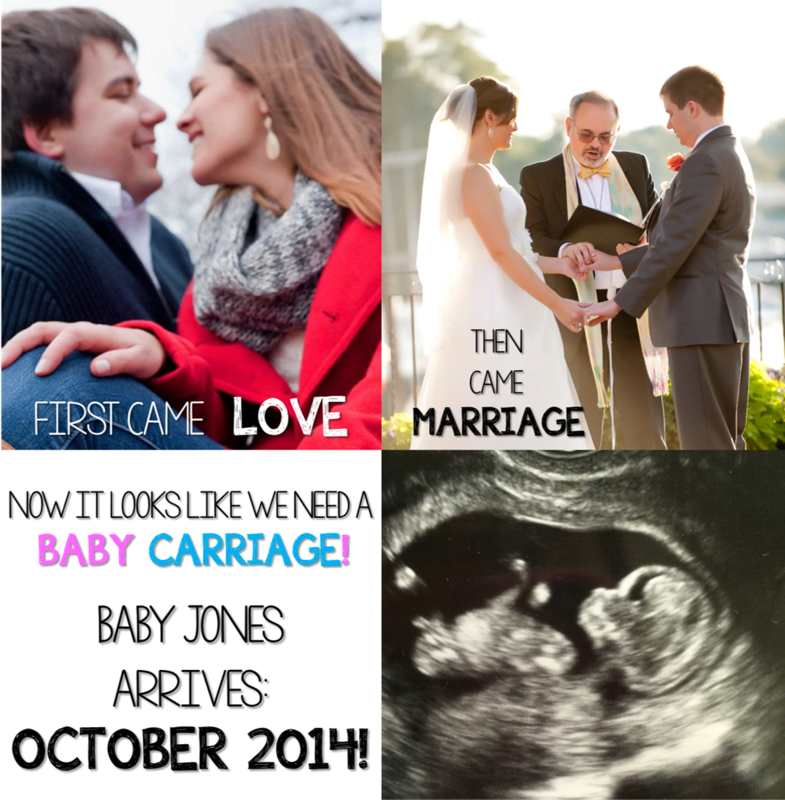 I already knew that morning sickness wasn't only in the morning and mine certainly isn't! In fact, my mornings are great. The hours from 3pm-sleepytime (anywhere between 8-9) are full of whining and curling up on the couch holding my belly, and even a little crying. You know when you have the stomach flu... those 5 minutes of agony right before you finally throw up?? Well, I experience that agony all afternoon/evening and NEVER get the relief of throwing up. Miserable. I even wake up in the middle of the night feeling like I am on a boat in the middle of a storm and it takes me a full hour to fall back asleep. Oh and the fatness... I've only actually gained a little over 1 pound, but feel like I've gained 10. My pants don't fit and I have ALREADY bought maternity clothes. I'm a little nervous to wear them yet though, so it's all about leggings and yoga pants right now. The exhaustion?? Yeah, I fall asleep between 8 and 9 every night on the couch. I don't even know it's happening in enough time to move to the bed. One second I'm watching TV or reading blogs, the next thing you know I am asleep. I am a walking zombie all day at school. Six year olds are hyper and tiring all on their own. Add in an extended school day 730-330 and by 2pm I am yawning non-stop and my eyes are barely staying open and my kids are laughing at me. I was so tired yesterday morning that I only shaved one leg. Not because I was so tired that I forgot to shave the other leg. No. It took all the energy out of me to pick up the razor and shave one.whole.leg from ankle to upper thigh. And believe me... both legs needed to be shaved. Maybe today I will shave the other one. Our first ultrasound appointment is coming up and I am SO excited. 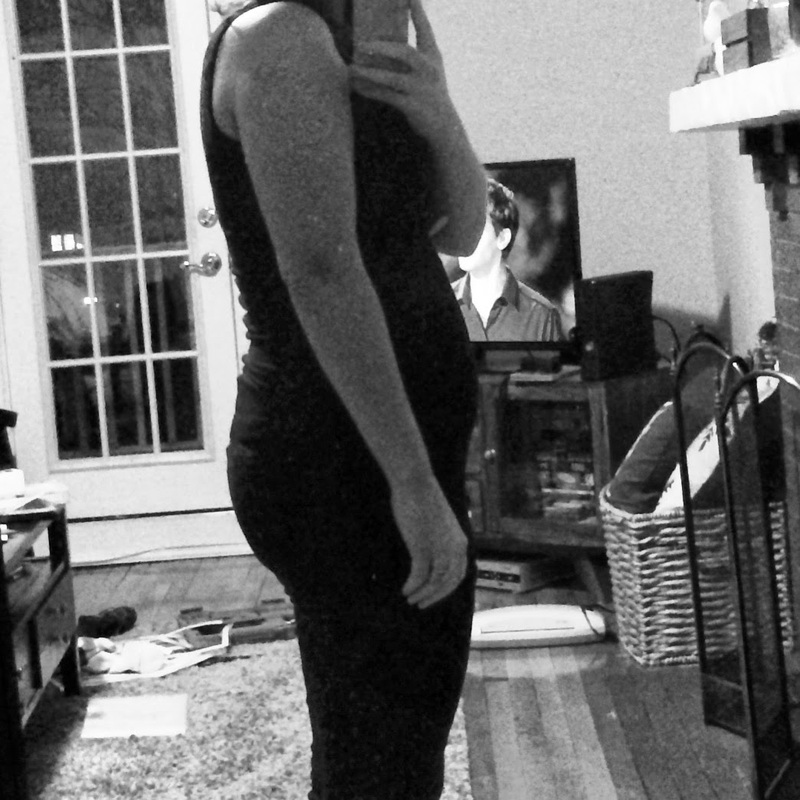 March 17th we finally get to see the little grape of a baby that is wrecking havoc inside my belly. Soon after that day is TRIMESTER TWO. The trimester that is supposed to be the best. My nausea is supposed to subside. I am supposed to get a wee bit more energy. I will start showing and not just look like a fatty. I can tell THE WORLD! Come on, trimester 2 - you are SO close! We won't be able to find out the gender for another 9 weeks or so, but when I imagine our baby I see a baby girl. I secretly hope it is a boy though for a few reasons I will share soon enough, but either way we will be SO happy for a healthy, happy little peanut! THE DAY, people... THE DAY!!!!!!!!!!!!!!!!!!!! 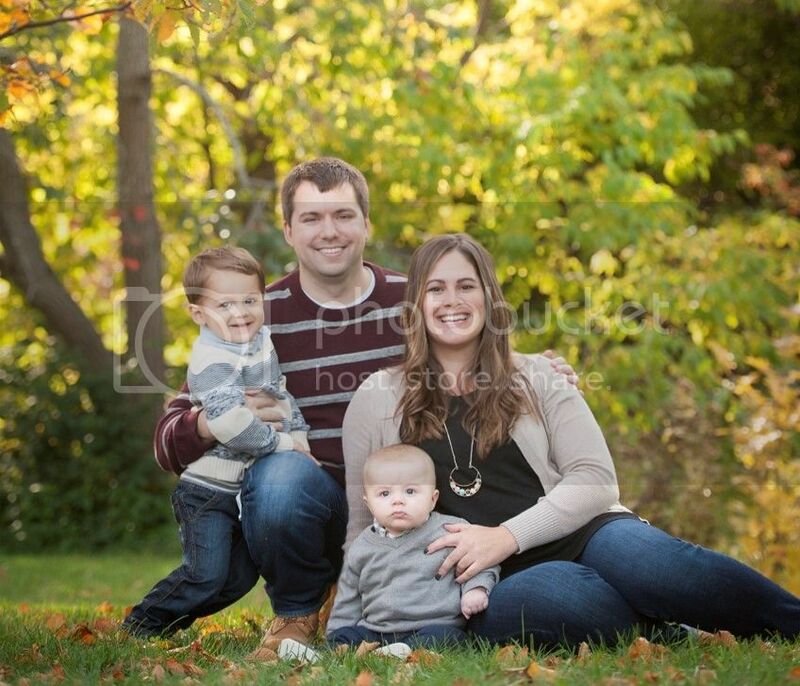 Today is the day I found out I was pregnant. Right now... as I type... I am sitting here... pregnant. HA! I woke up this morning at 5AM and took my temperature, per usual. It was 98.6 degrees about .5 degrees higher than normal. I thought that was a bit weird since it is usually about this time (11 days past suspected ovulation) that my temperature starts to drop and then comes a new cycle. This cycle was an important one because it was the cycle we were going to start our fertility testing. She told us to keep trying for this last month and we did just that. We tried..... a lot.... and it looks like it worked!! My hand was shaking as I picked up that little stick of urine and read it over and over and over and over. I spent all day smiling and sometimes letting happy tears fall down my face. I also went to Target and bought about 12 more pregnancy tests, seeing as I know I will be testing every week until I go to the doctor and probably still after that. Paranoid? Possibly. I actually don't have many questions at this point. I am too filled with HAPPY to care about anything else. This is what we have wanted so badly and now is our time! I can't wait to share the news with all of YOU out there, but you will have to wait. We will likely tell all our family ASAP and my best friend shortly after that. All y'all however will have had to wait... until now! All posts won't be baby-related, but I'm sure the majority will be, because...well.... I'm just too damn excited to write about anything else. This blastocyst and I need some rest, so off I go to bed. A pregnant woman, sleeping. That is me. Life as of late has been all about convenience and what can be more convenient than cooking with the crockpot?! It was deeeee-licious and both Tina and Parks already requested that I make it again! When looking up recipes for pulled pork in a crockpot, there were approximately 12 billion different kinds with all sorts of ingredients. I decided to take what I liked about each and make my own! They were juicy and flavorful and again, easy-peasy. Make a rub: In a small bowl, mix together the mustard seed, paprika, brown sugar, salt, pepper, and 1 chopped clove of garlic. Take your pork out of the casing and rub the ingredients on all sides of the pork. You can trim the fat off first, but I just leave it on while cooking. Once you start shredding the meat after it is cooked, the fat comes off a lot easier and you can discard it then. Up to you! In the bottom of the crockpot, pour in the vegetable oil and the remaining chopped garlic cloves. Place the pork in the pan. Pour the apple cider vinegar on top of the meat. Pour a bit of BBQ sauce on the meat (enough to cover the pork). Close the lid and heat on low for 10-12 hours. Your home will sell like a sweet and savory BBQ! Yum, yum, yum. When time is up, strain the meat of all its juices, and place the pork on a cutting board. Use two forks the meat will easily break apart and start looking like delicious pulled pork. The pork should be nice and juicy! This is when you will easily see the "fatty" pieces and you can discard them. 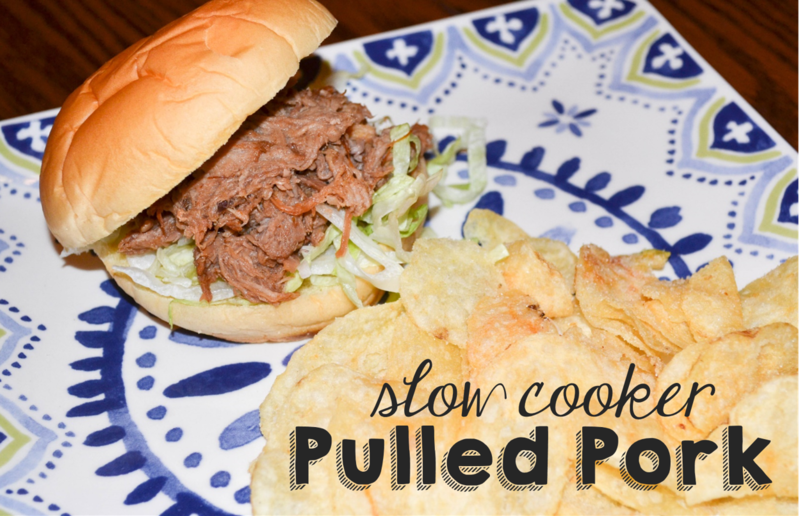 Once all the pork is pulled, put it back into the slow cooker and add as much or as little BBQ sauce as your heart desires! I served our sandwiches on potato rolls with some shredded lettuce and kettle-cooked potato chips. They were so yummy, we all had seconds. 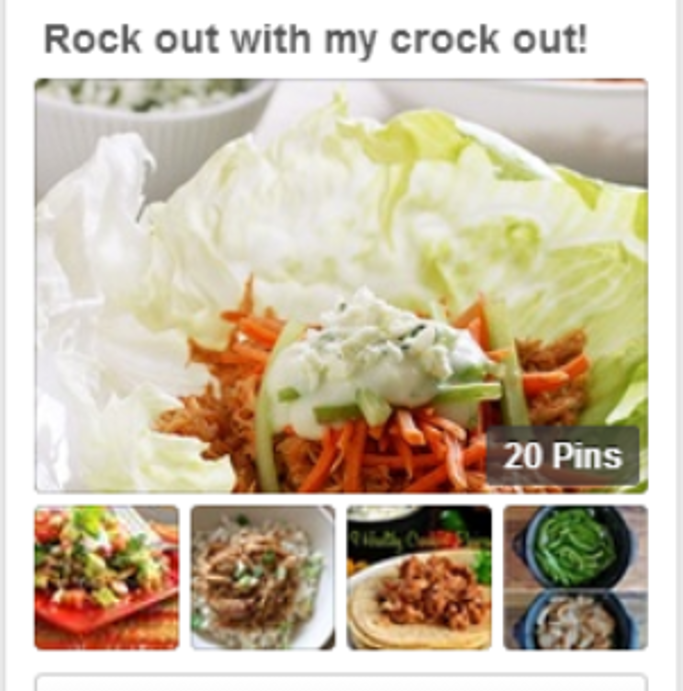 For more crockpot recipes, you can checkout my Pinterest board, "Rock out with my Crock Out!"